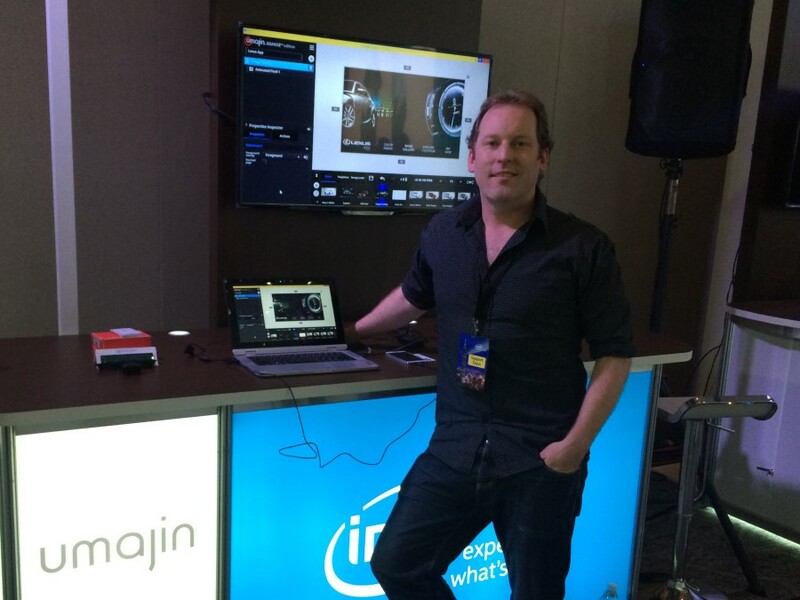 It was very exciting to be here at Computex to announce with Intel the launch of the Umajin RealSense edition and to share the beta version of the Umajin IoT edition. These Umajin editions will allow anyone to create their own Intel RealSense or IoT applications without coding. We were also showing off some of our latest hand and finger tracking input systems – making a whole new range of human computer interaction possible.